Natural, biodegradable and guaranteed chemical free, Ecoleaf Toilet Cleaner is derived from plant extracts and is based on biodegradable, sustainably sourced ingredients. Vegan friendly and brought to you in recyclable bottles, this environmentally friendly Toilet Cleaner will keep your loo tidy and your conscience clean. Directions for use: Squeeze a small amount around the toilet bowl and flush. Save money and resources by buying in bulk: buy Ecoleaf Toilet Cleaner in a 5 Litre bottle. The Ecoleaf Toilet Cleaner 750ml product ethics are indicated below. To learn more about these product ethics and to see related products, follow the links below. As for Ecoleaf review at the top of this page. I bought this product as standard cleaners were irritating my husbands asthma, problem gone and does the job. 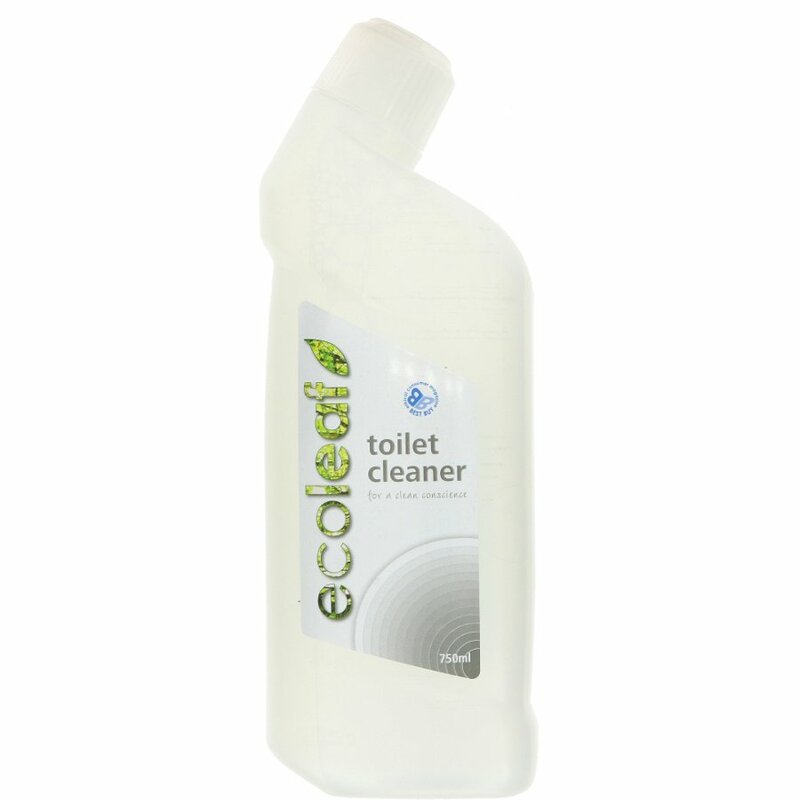 There are currently no questions to display about Ecoleaf Toilet Cleaner 750ml.